Ships tomorrow if you order in the next 21 hours 17 minutes. 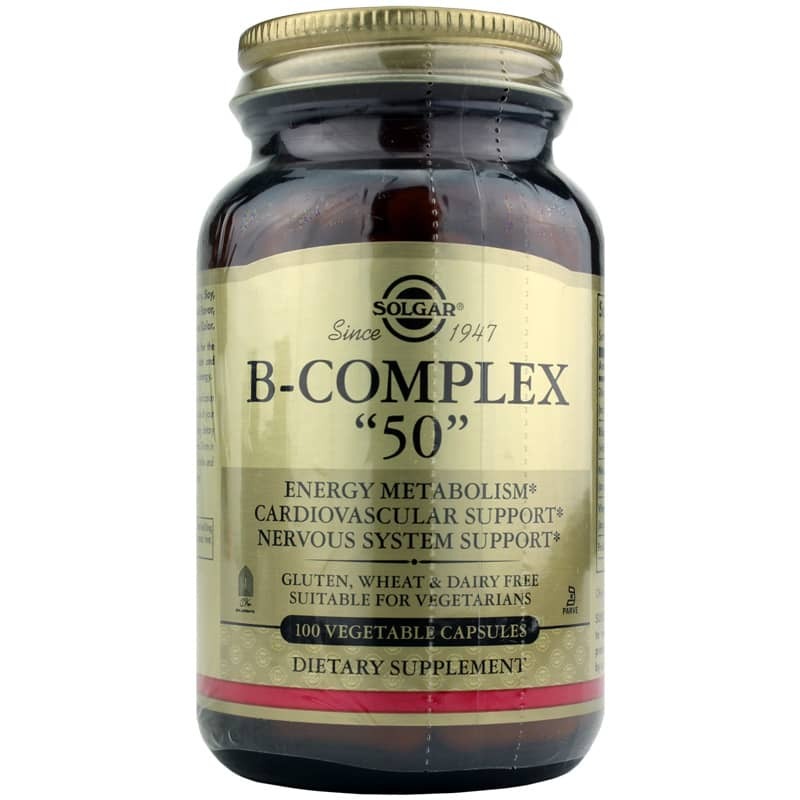 B-Complex “50” from Solgar supports energy metabolism, the cardiovascular system, and the nervous system with this dietary supplement. 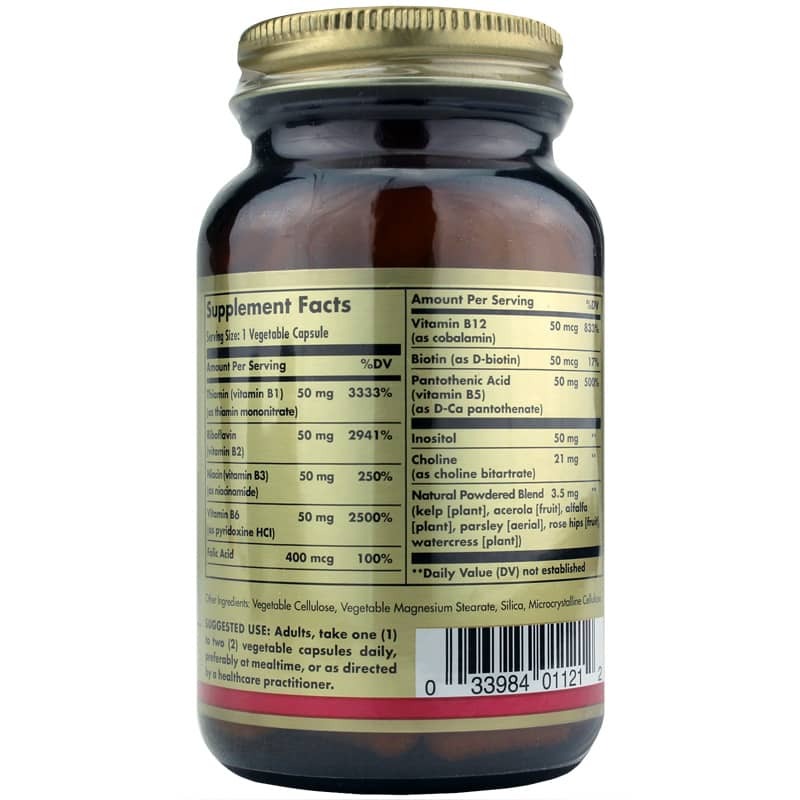 It contains all eight B vitamins: thiamin, riboflavin, niacin, folic acid, biotin, pantothenic acid (B-5), B-6, and B-12 to support your health. B vitamins are essential for your body to function optimally. In addition to supporting your heart and nervous system, B vitamins assist in the metabolism of carbohydrates, fats, and proteins, which then work to convert food into energy. While you can get B vitamins from your diet, you may want to add a supplement to make sure you get the full spectrum of B vitamins. 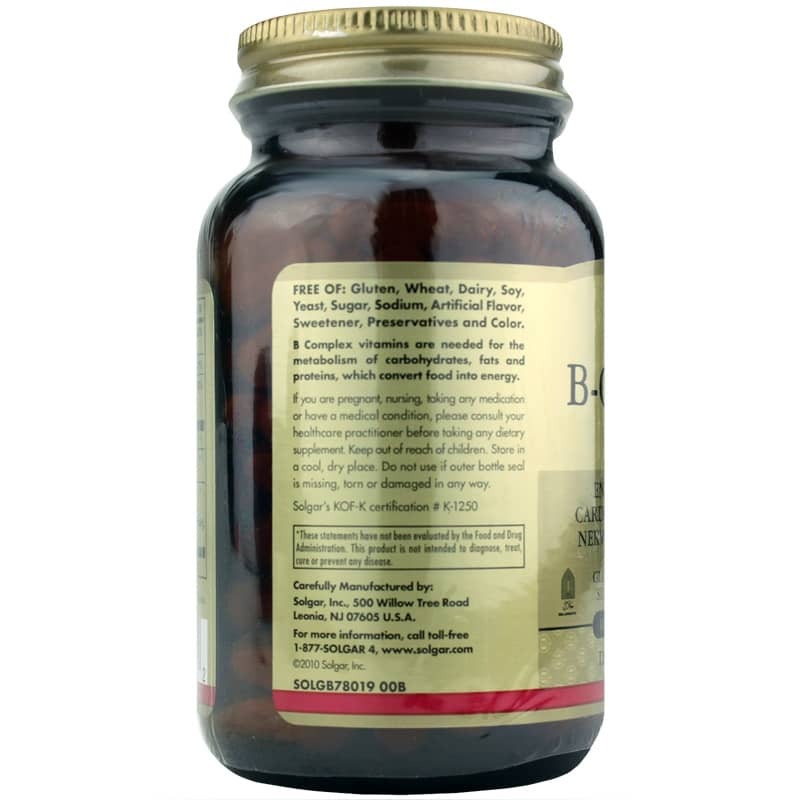 If you’re looking to support your health with a B vitamin supplement, consider B-Complex “50” from Solgar. Contains NO: gluten, wheat, dairy, soy, yeast, sugar, sodium, artificial flavor, sweetener, preservatives and color. Vegetarian. Adults: Take one (1) to two (2) vegetable capsules daily, preferably at mealtime, or as directed by a healthcare practitioner.